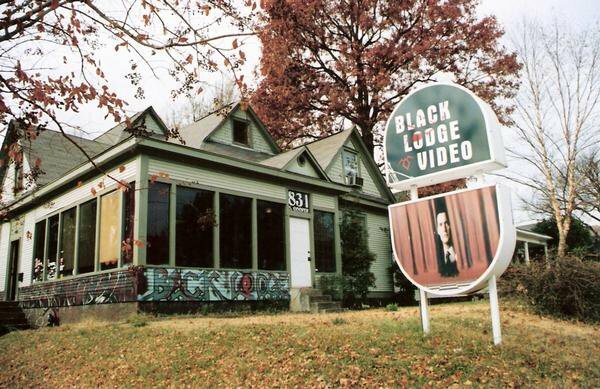 Since Black Lodge Video has become Memphis’ only video store following Blockbuster’s bankruptcy, not much has changed. But while you were in the store browsing the movie selection, you probably didn’t know that the owner resides directly above your head. Owner Matt Martin lives in a one-bedroom apartment above the business. He considers this to be key to Black Lodge’s success. That, and the fact that Black Lodge rents the building and therefore has never bogged itself down with loans or mortgages. Martin, then, attributes Black Lodge success to the fact that he did not start off his business in debt, amakes a single payment for where he lives and works, is able to spend more time working. Martin lives in the upstairs portion of the building and so has the luxury, should he choose to work late, of being only two flights of stairs from his bed, rather than a full commute like most business owners. “That’s the trick people own a business and live there. You get to work two times as long. But for me, it’s not work. It helps me stay on top of things like making the late night calls to people who haven’t returned a rental and keeping the store presentable. The better a place looks, the better it will do financially,” says Martin. Though the basement of Black Lodge does not have working ceiling lights, the camera flash revealed an accumulation of items forgotten over the years. “We used to hang out here all the time. This was the early days of Black Lodge. We’d sit down here … and watch the monitor to see if customers walked in,” says Joe, longtime friend of Martin’s who has helped out with the store since it’s opening. “We’d do crazy things like set up ‘The Battle of Los Angeles’ with a whole bunch of army men,” says Joe. Partners Matt Martin and Bryan Hogue are the "2 guys" who own the "1 collection." They met in high school as Seessel’s bagboys (now Kroger). Both grew up in East Memphis. While bagging groceries together, they bonded over their common passion for movies and talked about how great it would be to open their own movie store. After they graduated from high school in 1993, Martin left Memphis to attend Mizzou in Columbia, Missouri. A short time later, Hogue followed Martin to live with him and his college roommates. After Martin earned his degree in journalism and graduated a year later in 1997, Martin and Hogue moved back to Memphis to make their video store gab a reality. 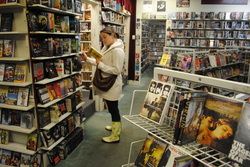 They lived in Cooper Young on New York street and dedicated nearly a year to collecting movies and looking for a location to open their business. The two men wanted to keep their movie business within Cooper Young. In 2001, they found a building at 831 Cooper, Black Lodge's current location. The building's owner constructed the building to be used as a recording studio, but he gave up after having little financial success.The two men had already acquired a large personal collection of movies “ranging from horror to classics and modern,” says Martin. By that time they had nearly 8,000 movies in their collection. But it wasn’t yet enough. “If it’s not impressive enough from day one, then people won’t come back,” says Martin about his business philosophy. It took nearly three months for Martin and Hogue to prepare for the business to open. So much time was needed to organize the thousands of movies and enter the data into the computer. When they were finally ready to open Black Lodge's doors, DVD broke the market. But they had only VHS. They momentarily went into hysterics, then decided to open anyway, shortly after 9/11. After six months, Black Lodge was successful enough to buy the movies on DVD. Nevertheless, “we also still love and stock VHS. Videotape is not a dirty word with us,” boasts Black Lodge's Facebook page. 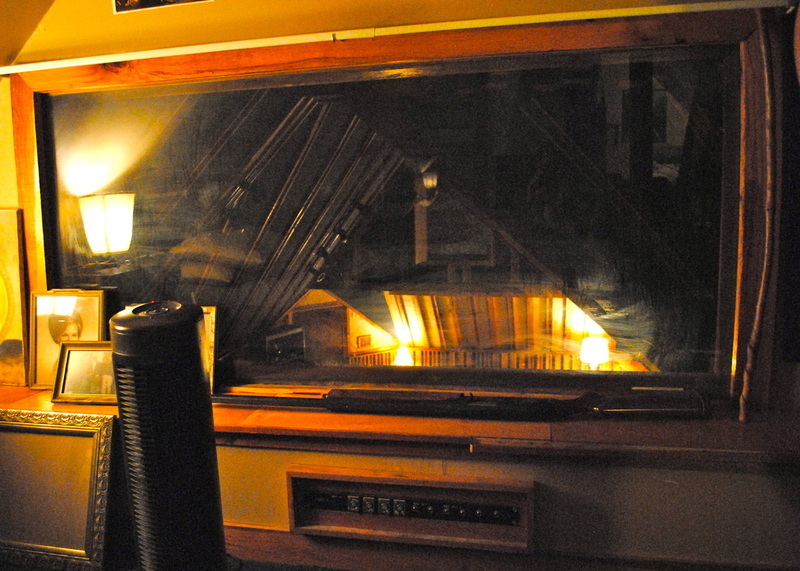 Martin has intermittently lived in the upstairs portion of the building where the recording studio is for the past ten years. He says, "I don't believe Black Lodge would have been as successful if I hadn't lived here." Photo taken from Black Lodge's Facebook page. A glance at Black Lodge's collection. Martin's bedroom in the upstairs part of the building, which was originally built to be a recording studio. Lindsey Lowry covers residential living for MicroMemphis. Follow her on Twitter @lnlowry.